Roman Kosyakov was born into a musical family and made his debut with orchestra at the age of 12 performing the Mozart Concerto No. 23 in A Major. In 2012, he graduated from the Central Music School in Moscow where he studied with F.I. Nurizade and then in 2017 from the Tchaikovsky Moscow Conservatory with V. Ovchinnikov. Since September 2017, he studies at the Royal Birmingham Conservatoire on a full scholarship with P. Nemirovski. 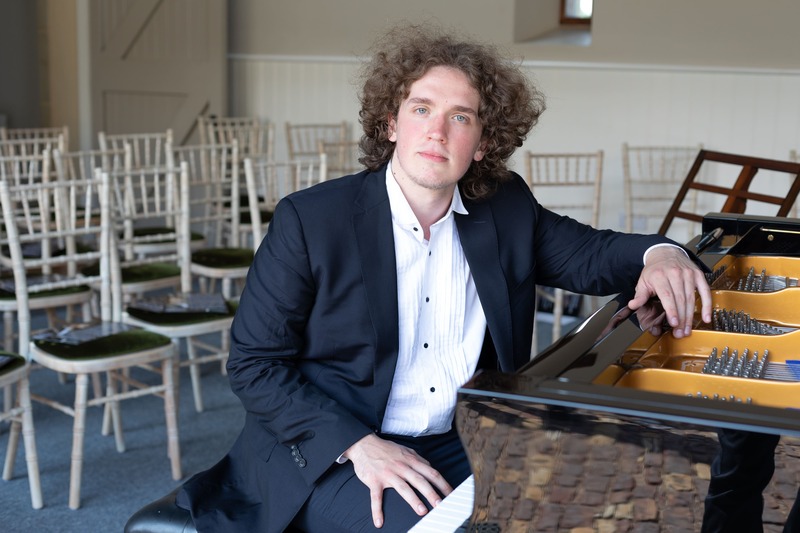 He is a laureate and a winner of many nationals and international competitions, to name a few “Young Talents of Russia”, winning 2nd prize in 2016, gold prize of the 3rd Manhattan International Music Competition, 2018 as well as 1st prize and the Audience prize of 10th Sheepdrove Piano Competition in 2018, UK. He is regularly invited to give concerts in France, Italy, Germany, Republic of Belarus, Russia, UK, USA… and was guest soloist from 2014 to 2017 of the Kemerovsky State Symphony Orchestra. Very recently, Roman won the prestigious 1st Prize and the Royal Philharmonia Orchestra Prize of the 14th Hastings International Piano Concerto Competition (2018, UK). We are very excited to have Roman perform Liszt’s Totentaz with us on the 17th of October in Hereford Shirehall.